IntLawGrrls: Spill, Baby Spill--is this what they meant by Beyond Petroleum? Spill, Baby Spill--is this what they meant by Beyond Petroleum? The story keeps changing. First, it was reported that 1000 barrels a day (about 42000 gallons) was being spilled into the Gulf of Mexico from the Deepwater Horizon disaster. Then it was 5,000 barrels per day, but, that number also seems to be a significant underestimate. Using NASA sattelite imagery, some experts have estimated that the actual release has been in the neighborhood of 26,000 barrels per day. These latter numbers mean that the spill has already dwarfed the infamous 1969 Santa Barbara oil spill, and, that, as of today, the Exxon Valdez spill, which involved 11 million gallons, is no longer the United State's worst oil spill. And more oil keeps coming! Florida, Alabama and Missouri are in harms way, along with Louisiana. Amazingly, BP seems to have no plan whatsoever for dealing with this kind of situation. You would think that the possibility of an oil spill was beyond the ken of human experience. As though BP did not already have first-hand experience with spills and blowouts, like the 2006 oil spill in Prudhoe Bay, or the Texas refinery explosion that killed 15. 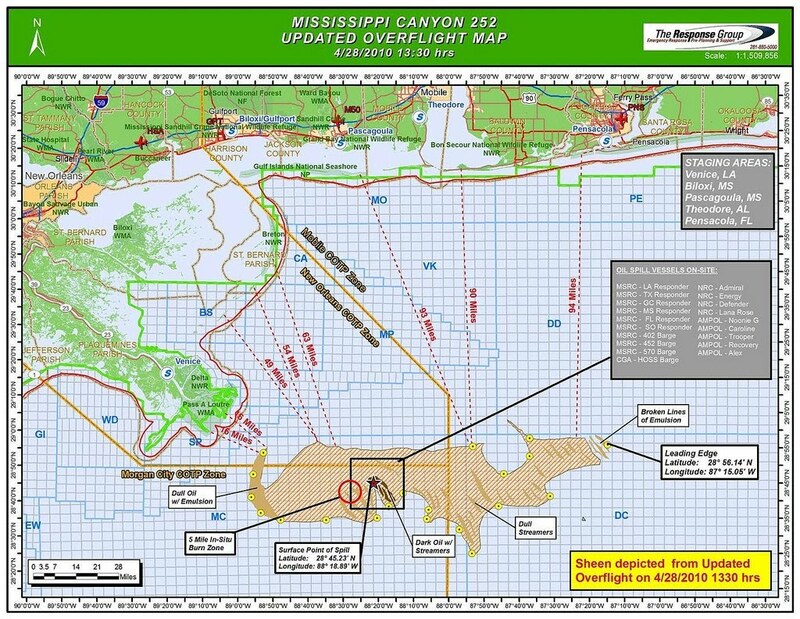 Despite the company's own experience with catastrophic incidents, and the offshore drilling industry's poor track record, in its 2009 Environmental Assessment, BP reported that "it was unlikely that an accidental oil spill release would occur" from its proposed activities at Deepwater Horizon. Come again?? From the political rhetoric about "corporate citizenship" and the off-repeated canard that new technology can make off-shore drilling environmentally benign, you might think that BP would have considered and planned for a "worst-case scenario." At the very least, you would think that the federal government would have made them do it. Unfortunately, you would be wrong. Ever since the Reagan administration, the government has abandoned "worst case scenario" planning as a federal requirement. In a case called Robertson v. Methow Valley, the Supreme Court let them do it. 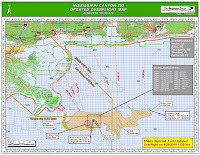 In fact, the Mineral and Mining Service (the part of the Department of the Interior responsible for overseeing offshore drilling that has seen its own share of scandal over the last few years) wrote in its Environmental Impact Statement about this project "[o]ffshore oil spills resulting from a proposed action are not expected to damage significantly any wetlands along the Gulf Coast," and they predicted that the effect on commercial fishing would be "negligible and indistinguishable from natural variation." The Department of Interior had actually been on the verge of honoring BP for "outstanding safety and pollution prevention." Nevermind that just last year, BP fought against proposed standards that would have tightened regulation of offshore drilling. Eleven missing and presumed dead-- and an unprecedented environmental catastrophe unfolding before our eyes. According to BP's Chief Executive, Tony Hayward, "all accidents are avoidable and when they occur you are judged by how you respond." Heckuva job, so far. What really ought to give you the warm fuzzies is BP is not alone--the other oil companies are all just as complicit in a systematic choice to disregard profound environmental, social and human health risks. Indeed, the Environmental Impact Statements for the Chukchi Sea and the Beaufort Sea are even probably more deficient than those performed for the Gulf Coast drilling. Should any of the wells recently authorized in these Arctic Seas have a spill (a possiblity that MMS puts around 40%) already threatened or endangered animals like polar bears, speckled eider, Pacific Walrus, bowhead whales will all be in jeopardy. Not to mention that these seas are the lifesblood of local Inuit communities. One oil spill will destroy their way of life. And, of course, any oil that is actually extracted from these Arctic Seas will only hasten the process of global warming that is already destroying the Arctic. Maybe President Obama wants to reconsider his plan to open most of the Atlantic seaboard to off-shore drilling? Please!